UPDATED: Chipmaker says Broadcom bid "dramatically undervalues" Qualcomm. Qualcomm has rejected the multi-billion takeover bid from fellow chipmaker Broadcom. 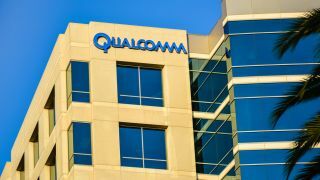 A statement from the San Diego-based firm says that the Qualcomm board of directors "unanimously" rejected what was thought to be an offer of around $130bn. “It is the Board’s unanimous belief that Broadcom’s proposal significantly undervalues Qualcomm relative to the Company’s leadership position in mobile technology and our future growth prospects,” said Paul Jacobs, Qualcomm executive chairman. “No company is better positioned in mobile, IoT, automotive, edge computing and networking within the semiconductor industry. We are confident in our ability to create significant additional value for our stockholders as we continue our growth in these attractive segments and lead the transition to 5G,” added Steve Mollenkopf, Qualcomm CEO. Broadcom has yet to respond to the statement, but may still fight this resistance, as reports have claimed that the company is considering raising its original bid, as well as also looking to submit its own selection of directors for Qualcomm’s board. Shareholders that want the deal could then vote for new board members and continue the negotiations. The company’s shares closed at $64.57 on Friday. Broadcom’s, on the other end, ended at $264.96.